It’s that time of year again. In March, Austin Texas transforms itself into a nexus of art and technology and holds a celebration of Music, Film, and something called Interactive. It turns out that we’re Interactive: Hackaday will once again be at SXSW and we want you to join us there — Austin is excellent at showing everyone a fun time (as long as you don’t need to drive anywhere). We’ll be on site starting this Friday (3/11/16) and we want you to come party with us at the Hardware House starting at 6pm. This is the third year that Hardware House has hosted, and last year the party was packed with a ton of interesting people, including some Hackaday alums who were there by coincidence. This year you can expect the same, but the fun doesn’t stop on Friday. [Sophi Kravitz] will be hosting a panel on Sunday at 5pm about Technology and Social Change. Our main event is on Monday (3/14) at noon: Lunch with Hackaday as we launch the world premier of the 2016 Hackaday Prize film. On hand for the SXSW events are [Sophi Kravitz], [Chris Gammell], [Aleksandar Bradic], [Amber Cunningham], [Michael Guilfoil], and [Ivan Lazarevic]. But even after SXSW, we’re not done with the Lone Star State. [Brandon Dunson] and [Mike Szczys] will be at Hackaday Prize Worldwide: Dallas the following weekend at the Dallas Makerspace. Get excited Texas, we certainly are! Few things have managed to capture the imagination of hackers and engineers around the world the way Synthetic Biology did over the last couple of years. The promise of “applying engineering principles to designing new biological devices and systems” just seemed way too sci-fi to missed out on, and everyone jumped on the bandwagon. All of a sudden, the field which used to be restricted to traditional research organizations and startups found itself crowded with all sorts of enthusiasts, biohackers, and weirdos alike. Competitions such as the International Genetically Engineered Machine (iGEM) paved the way, and the emergence of community spaces like GenSpace and BioCurious finally made DNA experimentation accessible to anyone who dares to try. As it often happens, the Sci-Fi itself did not go untouched, and a whole new genre called “Biopunk” emerged, further fueling people’s imagination and extrapolating worlds to come. By far the most desirable booth for the crowds at SXSW Create was the Sparkfun quadrant. We call it a quadrant because they had a huge footprint approaching 1/4 the tented area, but it was well used. They brought a number of staff down to Austin in order to give away a legit electronic badge project they call BadgerHack. We love badge hacking. LOVE IT! But South-by isn’t purely a hardware conference so the badges aren’t made of PCBs (for shame). Add to that, free entry to Create scores you a wristband but no badge. This is the answer to that, a badge giveaway and build-off aimed at kids but cool enough to make me feel only slightly awful for accepting one when I pretty much knew they were going to run out before the final day was done. The USB stick PCB is, as you guessed it, an Arduino compatible loaded up with an FTDI chip and an ATmega328p which they call the BadgerStick. Accompanying this is a multiplexed 8×7 LED matrix board. Solder the three pin headers and the battery holder leads, connect to the plastic badge using the supplied double-stick tape, and you have a badge that scrolls a message in LEDs. What an awesome giveaway. I really like it that they didn’t cut corners here. First off, the kids will value the badge much more because they had to actually assemble it rather than just being handed a finished widget. Secondly, there is the USB to serial chip and USB footprint that means they can reprogram it without any extra equipment. And an LED matrix… come on that’s just a gateway drug to learning Wiring. Bravo Sparkfun and Atmel for going this route with your marketing bucks. The badge activity rounded out with some hardware interfacing. There’s a 3-pin socket that attendees could plug into 4 different stations around the booth. 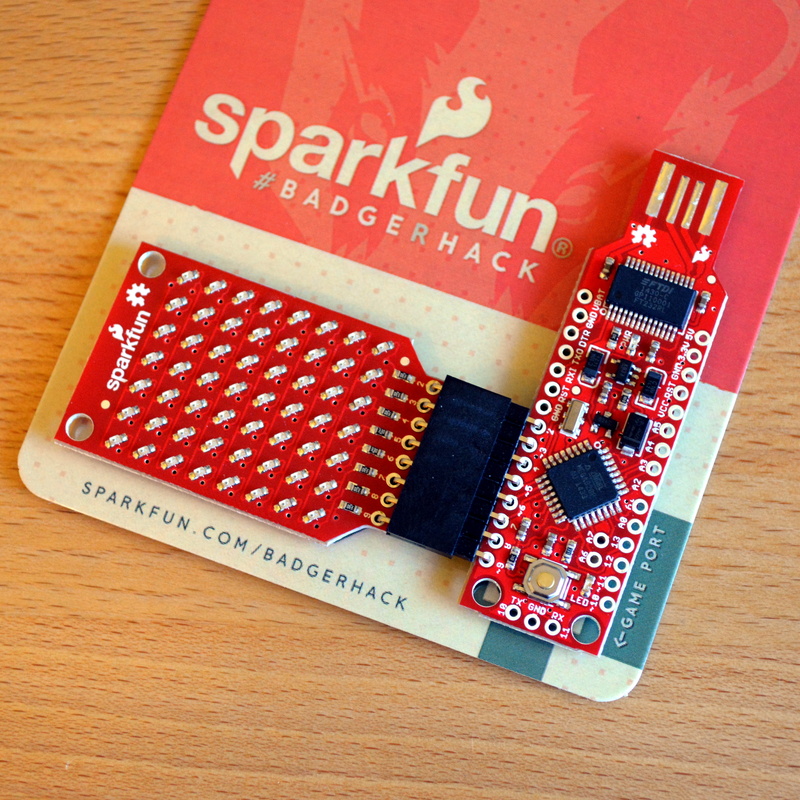 Once done they received a coupon code for Sparkfun that scrolls whenever the badge is booted up. For some at-home fun, the writeup (linked at the top) for the BadgerHack firmware is quite good. It offers advice on changing what is displayed on the badge and outlines how to build a game of Breakout with just a bit of added hardware. We had a wonderful time over the weekend at the 2015 SXSW Create. I was really excited to see that there was a very large area set aside for the Hackerspaces of the Austin area and they took full advantage of that. Most notably, ATX Hackerspace who had multiple tables and was drawing a huge crowd. This table is a good example of the demonstrations on hand. Primarily It’s a collection of ultrasonic theremin. The classic theremin uses oscillator-based sound production (we’ve been running a series on that concept) with a set of antennas that uses your body’s proximity to tweak that signal. This version mimics the user interface but greatly simplifies the skillset needed to produce the instrument by swapping the antenna for an ultrasonic rangefinder and generating the audio digitally. The more astute viewer will have noticed the instrument being held. I neglected to ask about this but it sure looks like a Holophonor which is another great seed idea for your next project. Update: it’s a Hulusi. I do think it’s worth noting that ATX also set aside a lot of table-space for their members to actually work on building projects at the event. We’re big advocates of this rather than simply exhibiting finished projects. 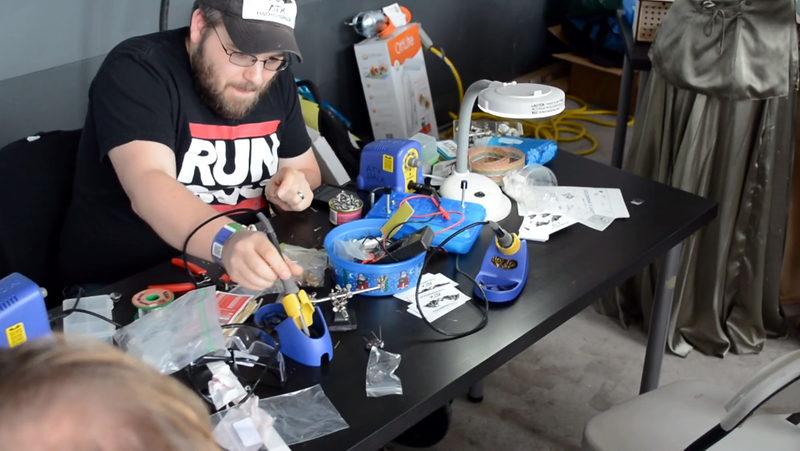 It doesn’t really matter what you’re working on; seeing a table covered with interesting parts and tools, being worked on by fun people obviously enjoy each other’s company is the core message of a Hackerspace… right? I talk with [Gardner] about ATX in the video after the break, and make a quick loop around the display tables. Having announced the start of the 2015 Hackaday Prize a few days ago, it’s time to take the message to the people. We’ll be evangelizing the message of grass-roots hardware development all over the world this year. The next event starts tomorrow in Austin, Texas and is free for all to attend. 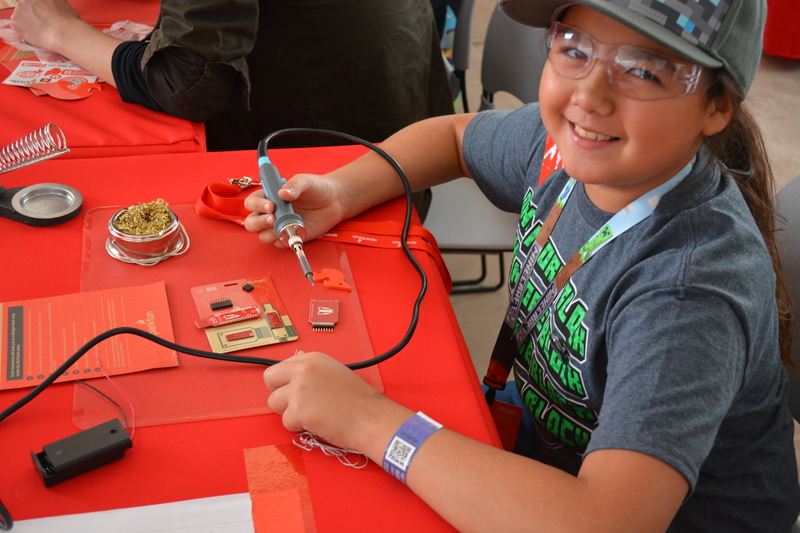 Join the Hackaday Crew at the Hackaday South by Southwest Meetup on Friday from 11am-12pm. We’ll be discussing the bright future of small shop and grass roots hardware development. This concept ties into the 2015 Hackaday Prize which calls on you do develop solutions to some of the problems found in your community. Want to organize your own #HackadayPrize event to help get the word out? Great! Email prize -at- hackaday.com and we’ll help with the planning. Find us on Friday Night at Hardware House. They are presenting several talks; notably from [Huge Fiennes] (Co-founder of Electric Imp), [Sam de Brouwer] (Co-founder of Scanadu), [Nick Yulman] (from Kickstarter), and [Jason Johnson] (Co-Founder of August). In between there will be some lightning talks and [Sophi] will be giving one on the 2015 Hackaday Prize. and we’ll be sticking around for the socializing as well. It runs from 6-9pm… don’t forget to RSVP. 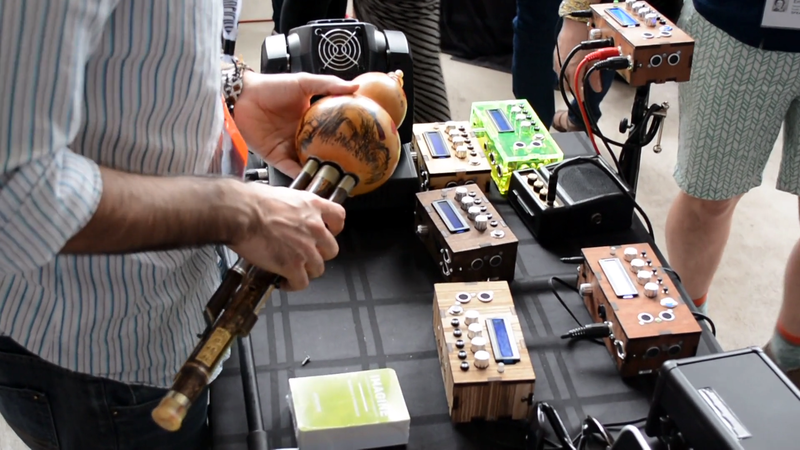 The finalists from last year’s Hackaday Prize were gracious enough to lend us their prototypes to exhibit at our SXSW Create Booth which is open Friday through Sunday. These are SatNOGS, ChipWhisperer, PortableSDR, Open Science Tricorder, and RamanPi. Thank you to them all, we’ll make sure to bring some of those along to the meetup. We’re also happy to have one of [Radu Motisan’s] uRADMonitor modules on hand, one of the Mooltipass beta units which were the topic of the Developed on Hackaday series, and one of [Macetech’s] new LED glasses (which we might just be giving away to someone who stops by). The midway is open 11-6 everyday but you can bet after that (and perhaps before) we’ll be looking to do some socializing. Hit us up on Twitter if you have any suggestions or wonder what we’re up to. Assuming the Internet is working we’ll be checking and Tweeting regularly. On site we’ll be using the following accounts: @Hackaday, @Hackaday.io, @HackadayPrize.